She is 62yrs. old Malti. It all started one year ago(12/10/2016)... She complained of abdominal pain. 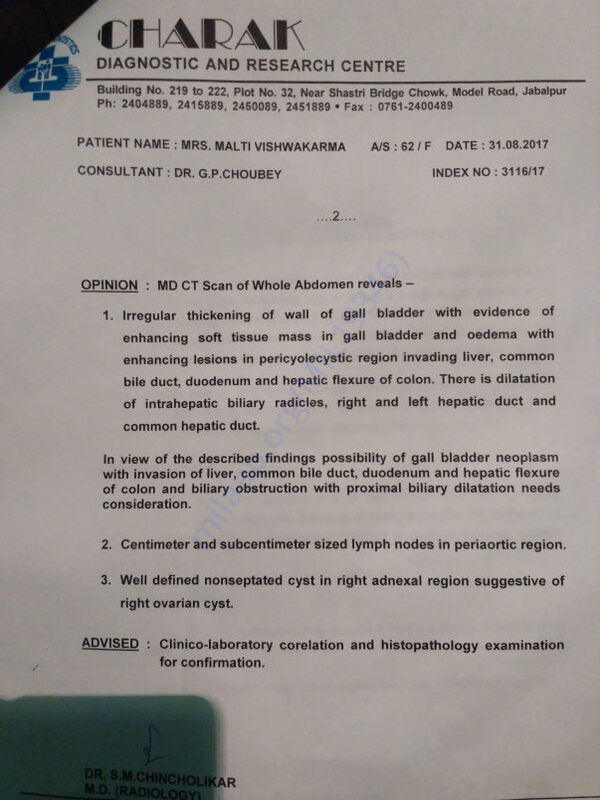 Doctors examination reveled that she developed Stone in the gall bladder. So she was being medicated accordingly. Last week (24/8/2017) the pain was back. 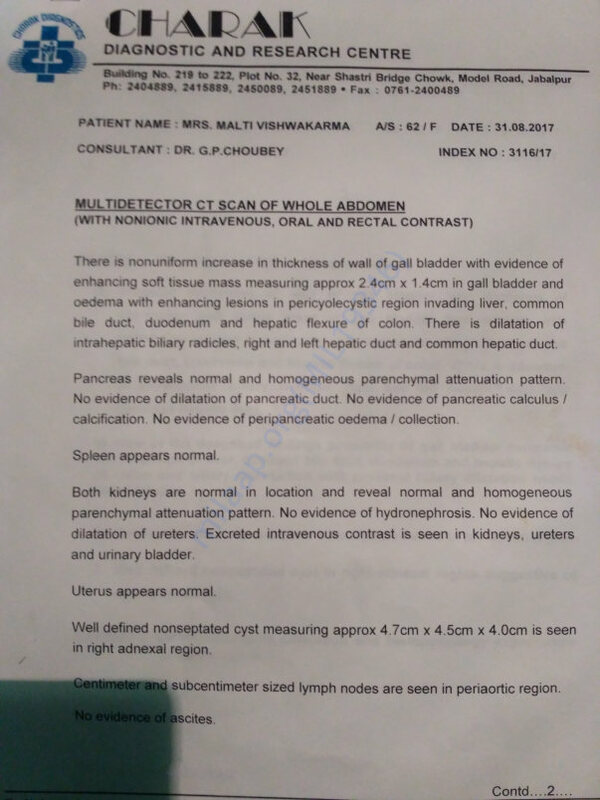 On detailed examination and abdominal CT scan reports revealed of cancer and she is also suffering from jaundice. 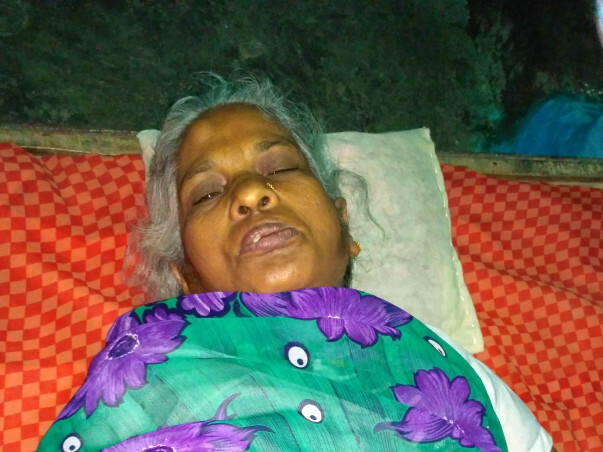 She is unable to intake any food and is dependent on IV fluids. The family background is also not too good at all due to lack a permanent income sources. 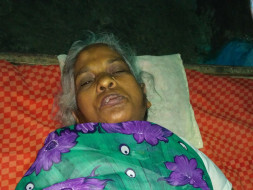 Your small contributions can make a big change as she has to undergo surgery immediately.